The Sooty Olive is a typical lough wet fly. It is much used and held in very high esteem by local fly fishermen. Body : Brown and dark olive seal's fur, well mixed. Hackle : Black hen , either as beard or full wound. 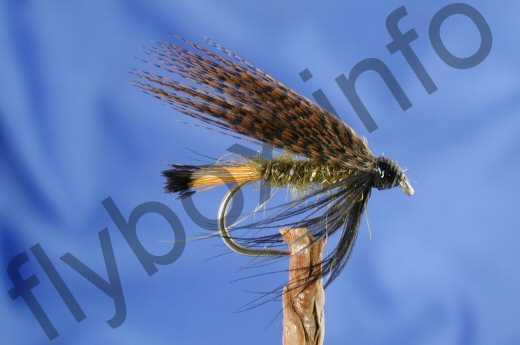 Currently there are no comments about the Sooty Olive fly pattern from other fly fishermen yet.